Manpasand wasn’t a stock that found pasand among investors in recent days with the stock over the last 3 days falling by 50%. Thanks to the concept of price freeze in stocks which aren’t either part of the Index or has Futures and Options, we cannot be sure when the selling frenzy will end. A few months ago, something similar happened in Vakrangee. It started freezing lower each day and while it did recover a bit in the interim, the larger trend has continued till date the stock down more than 92% from its peak. PC Jeweller got caught in the middle since Vakrangee has bought a stake in the company and while it hasn’t been accused of anything, the PCJ stock is still 71% from the peak. When Vakrangee went into a downward spiral, one piece of advise was to avoid stocks that haven’t found a place in any mutual fund (Vakrangee was part of Edelweiss Fund and the fund itself was roundly chastised). PC Jeweller and Manpansand on the other hand are part of many Mutual Fund Portfolios. Everyone gets things wrong at some or the other point of time. In 2016, when Valeant Pharmaceuticals got beaten to death, Bill Ackman was the prime focus for many as a fund manager who lost big. But he wasn’t alone with other well-known funds from fund houses such as T. Rowe Price, ValueAct Capital Management and Sequoia – a fund that has a long history and was one of the recommended funds when Warren Buffett disbanded his Partnership. The very fact that we can get things wrong even with the best of research and intentions is also a reason very few funds or investors recommend concentrated portfolio’s. While a concentrated portfolio can work great in good time, when the tide turns or one gets caught in a position such as Valeant, it can damage returns that were generated over years in a span of a few months. One of the stocks where there has been a lot of discussion and one that has been discussed as a “Curious Case” is Dilip Buildcon Ltd which fell 12% today even though the management denied the speculation about its Auditor Resigning. Satyam Computers was supposed to a Cash Rich company till the time the founder came out with a brief letter mentioning that the company really didn’t have as much money as it claimed. Being one of the top IT companies in India, literally every Institution and Mutual Fund house were having a position in the said company. While an analysis of company’s Balance Sheet, talking with the company’s customers and vendors can provide one with data on whether the picture the management is portraying is true or false, no one can ever claim not to have got caught in a company that was subsequently found to have issues . In 2008, Wockhardt surprised the market by posting a Marked to Market Loss of $300 million due to speculative (though the intention was to hedge) forex transactions. It ultimately had to dispose of 10 hospitals to Fortis Healthcare. There isn’t a magic wand that can help you stay away from such companies. Vakrangee for instance was and continues to be part of Indices both in India and abroad (MSCI). Rather than trying to avoid by adding more filters – filters that are found to have fit the curve after a event, the better way to manage risk is by diversifying the portfolio. What is the Ideal Portfolio Size? As much as we would like to, there is no fixed number of stocks you should hold to maximize the chances of success while also ensuing that one bad egg doesn’t destroy the portfolio. Motilal Oswal claims that in its tests, it saw that diversification above 20 stocks didn’t provide for any major reduction in risk. 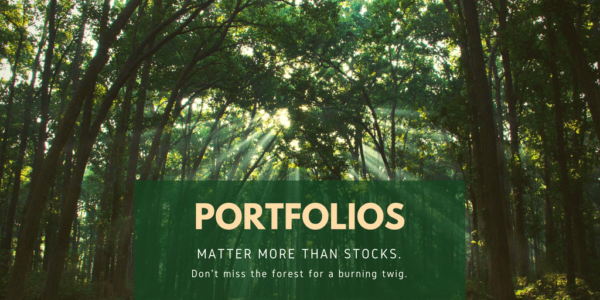 At Capitalmind, we have followed a Portfolio Size of 30 stocks in the Momentum Portfolio. With 30 stocks, the weight of each stock is around 3.33% at the beginning and even the bust of one or two wouldn’t bring down the portfolio. 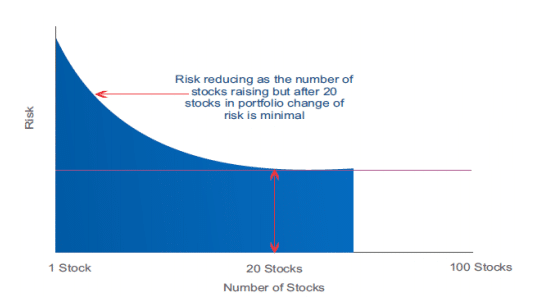 If one were to go to a portfolio size of 50 stocks, each stock having a weight of just 2%, a 50% drop will have an impact of just 1% on total portfolio. While the size of the portfolio is important, another major factor is the correlation between the portfolio constituents. If the portfolio is concentrated on a few sectors or industries, when the tide turns for the Industry, the portfolio may suffer heavily even though the market itself wasn’t. Sugar sector for instance has seen a total turnaround in recent months with most stocks down more than 50% from their peaks – but for anyone who follows any of the major indices, there is hardly any impact. If your portfolio was heavy on Sugar, you would today be heavy on the losses with your portfolio seeming to showcase an inverse correlation to the Index. Portfolio Construction and Composition can be a complex exercise with all kinds of variables. Its key that you understand what can add to the risks and what can subtract the risks to make your portfolio one that you can sleep even if it contains a DBL for instance. As Peter Lynch wrote in his famous book – One up on Wall Street . 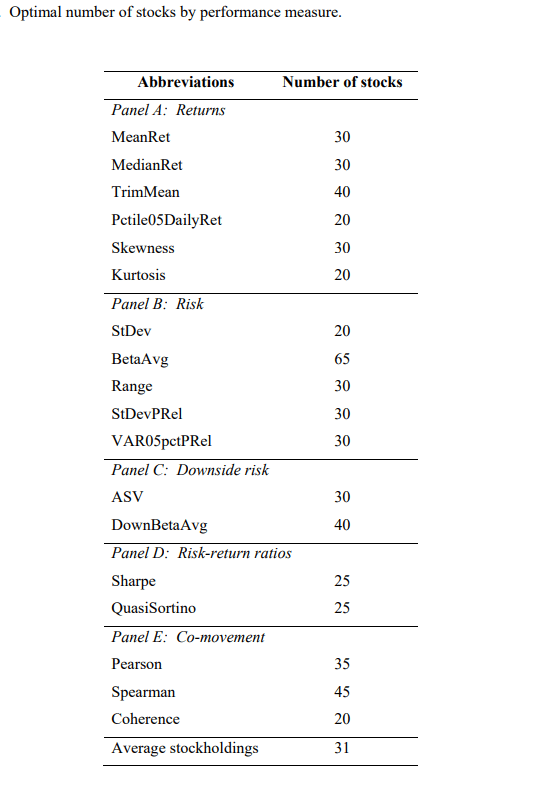 This is also one of the reasons that Random Portfolio’s can beat the best of the funds – the worst case loss is always capped at 100% while the best case can be way above 100% – who knows what randomnity can bring into the portfolio! Note: Want to play with Random Portfolios? Try the Magic Portfolio!